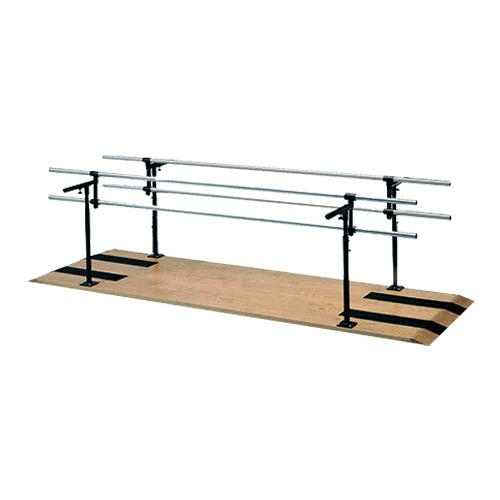 Hausmann Combination Adult Child Parallel Bars are made of satin-finish hardwood platform with anti-slip safety tread. Multiple sets of bars add functionality for both adult and children. Each upright telescopes up and down in one and half inch increments and locks into position with fail-safe ball-tip locking pin.